New Zealand’s Marc Ryan will ride off for his second medal in tonight’s finals at the UCI Track Cycling World Championships in Colombia, while sprinter team mate Eddie Dawkins has succumbed to injury after his world title last night. A blistering final 1km helped Marc Ryan secure a thrilling bronze medal in the men’s individual pursuit on day two of the UCI Track Cycling World Championships in Colombia. 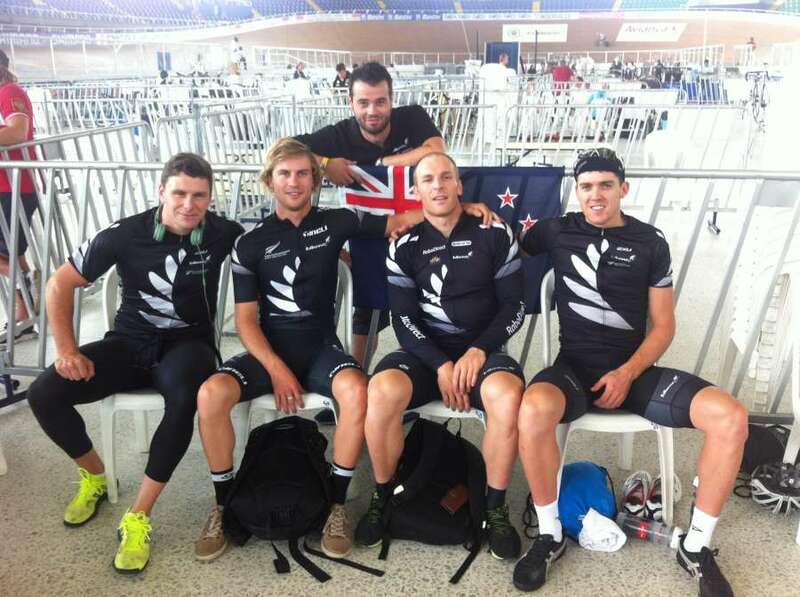 The New Zealand team pursuit quartet, featuring our Southland enduro Pieter Bulling, has won the bronze medal on the opening day of the UCI Track Cycling World Championships in Colombia. New Zealand celebrated an historic opening day of the UCI Track Cycling World Championships in Colombia by blitzing to their first ever men’s Team Sprint gold and also banking a bronze medal in the men’s 4000m Team Pursuit during an rollicking session in Cali. New Zealand's team pursuiters, featuring Southlanders Pieter Bulling, will ride for the bronze medal on the opening day of the UCI Track Cycling World Championships in Colombia. 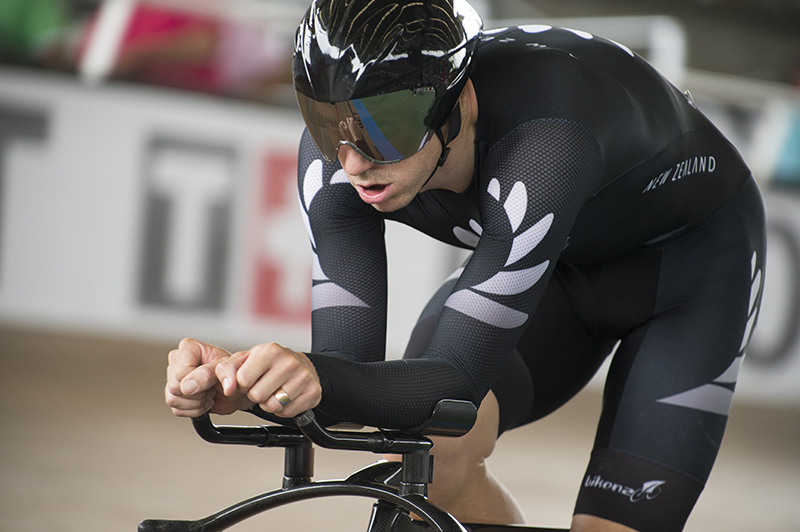 The New Zealand team sprint cyclists, featuring Southland's powerhouse Eddie Dawkins, are guaranteed a medal in the final of the men’s team sprint later this afternoon on the opening day of the UCI Track Cycling World Championships in Belarus. Well, the countdown is on to two big events – first of all, the UCI Track World Championships which start tomorrow in in Cali, Colombia, with a good swag of Southlanders competing – all the best to Matt Archibald, Eddie Dawkins, Piet Bulling and Tom Scully, and also NZ mechanic Chris O’Connor – we are right behind you boys! The Southland quartet of Eddie Dawkins, Pieter Bulling, Matt Archibald and Tom Scully are relaxed and raring to go in Cali, the sporting centre of Colombia, for the next World Cup being held from 26 February to 2 March. Go get 'em boys! Nice to see Chris O'Connor in support again too! 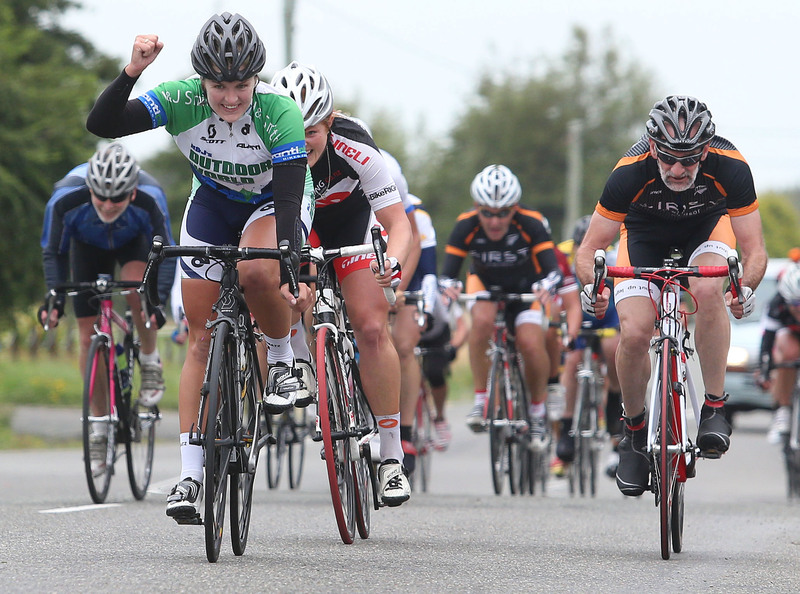 On your Bike - Two weeks to go! Greetings everyone for another weekly instalment as we move another week closer to Track Nationals – just two weeks now!! Calm and dry conditions greeted the 49 started in Gore for the 2014 George Wilson and Sons Gore to Waikiwi over 78km. Another awesome night of racing, with big fields. It was great to see Cathy Jordan back on the track after a few weeks off, and in great form. Also fantastic to see the return to track racing of Marcel Baird and Mathew Zenovich, who were both looking strong. Can you fill in the Gore to Waikiwi gaps? Our Master Memorabilia maestro Julian Ineson is after some assistance with winners/fastest time/1st Junior U19 placegetters for the Gore to Waikiwi Classic. Hi folks and hope your week is progressing smoothly! It started with some great news for four of Elite guys with Eddie, Matt, Pieter and Tom all being named in the NZ team to compete at the UCI Track Cycling World Championships in Colombia this month. Read Read all about it here Congrats and good luck for the competition as you head for Cali on Monday! Southland sprinters Eddie Dawkins and Matt Archibald, along with on form enduros Pieter Bulling and Tom Scully are amonga team of 11 riders to contest the UCI Track Cycling World Championships in Colombia this month. Our run of good weather thankfully continued into the weekend and a fine but breezy day greeted riders at Waianiwa, for the challenging Drummond, Isla Bank, Waianiwa Circuit. 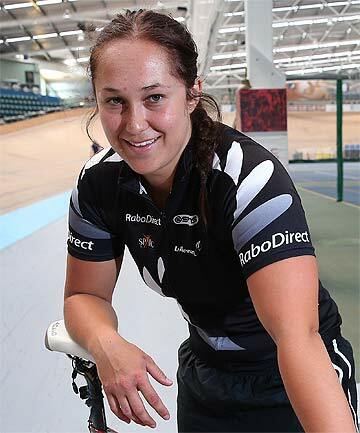 New Zealand sprinter Steph McKenzie is one of the last members of the elite cycling exodus from Invercargill to Cambridge, but she isn't turning her back on Southland. Another warm night at the track, with good numbers making for some great racing. “Most Aggressive Rider” awards could’ve gone to Bruce Jones in Division 2 and Gus Gillies in Division 1, who both raced out of their skin all night. On Your Bike - A Good Old Read! There can be many benefits to having two Velodromes in New Zealand, as we enter the new era of Cambridge becoming a reality. The Saturday morning clouds burnt away to reveal a stunning day (albeit with a gentle breeze to dry the sweat from ones brow!) and with good numbers lining up, it promised to be an excellent day of racing!